One of the ways I stay on top of news that's relevant to me and my world is by creating my personalized Google Alerts profile. 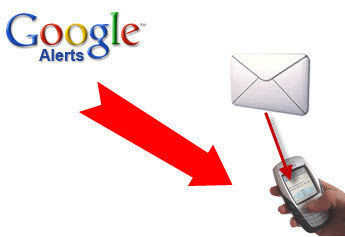 When you enroll with Google Alerts, you provide key words in which you’re interested. So any time that key word hits a news article, blog, or other aspect of the internet you will be notified. You specify the key words for which you’re looking, how often you want to be notified via e-mail of such, and from what sources do you want articles, notes, or blogs about the keywords you create. If you only want viable news sources which mention “survival skills”, you got it. If you are a business and want to see anytime someone mentions your business name on the internet anywhere, you’ve got it. I use this tool so that I can keep abreast of developments all over the world which impact key crops, government turmoil, natural disasters, specific court rulings, etc. I find this very valuable to me because it pools information from all over the world. At the risk of sounding like a cynic, I simply do not trust the mainstream media to give me information that’s important for my self-reliance efforts. An added benefit is that Google Alerts REALLY saves me a load of time that I used to waste everyday looking for articles that were relevant to me and my writings. I can get these alerts once a day, just the ones which Google deems most important, or at the very moment they are posted out there on the web. Considering how time-sensitive some issues are for which some of us who want to be prepared, an up-to-the-minute notification may be a lifesaver someday. Imagine the applications of Google Alerts. Suppose there’s a proclamation made by the FDA stating that all of the vitamins would soon be removed off of the shelves until they could qualify for FDA approval. You get the Associated Press article e-mailed to you hours before it hits the evening news. Can you imagine how important it might be for you to stock up on them prior to them disappearing and coming back with a huge markup to compensate for the expensive FDA “approvals”? Google Alerts really does give you a good lead time to big stories. Oft times, a small newspaper or other type of media outlet will broadcast an interesting story that goes mostly unknown until the larger media giants deem the story worth reprinting. For example, first thing this morning I saw an article pop up about major crop damage in rural Maine due to an Asian Fruit Fly that was destroying the berry crops. Several hours later Boston finally came out with the exact same story. To create your personalized Google Alerts, simply go to www.google.com/adsense You can adjust them as much as you want based on trends you may be interested in temporarily or over the long-term. The notifications are delivered to your preferred e-mail and they can contain as little as one alert or half a dozen. Here’s to your peaceful preparedness efforts! Excellent information.......I use The Drudge Report for most news items, but I know I'm missing a lot of good info......tfs. "Google announces privacy changes across products; users can’t opt out"
The www.google.com/alerts link in the last paragraph is pointing to /adlerts by mistake! @heyart thanks for the heads up!